More than 1,000 Palestinians held in Israeli jails ended a mass hunger strike against detention conditions. Israeli officials said the move - at the start of the holy month of Ramadan - came after an agreement to allow two family visits per month, not just one. The action was led by Marwan Barghouti, a Palestinian leader jailed by Israel for life for five murders. Barghouti has been touted as a possible future successor to Palestinian Authority President Mahmoud Abbas. Some 1,187 detainees observed the strike, according to Israel's prison service. It began on 17 April, the annual Palestinian Prisoners Day, when Palestinians remember detained friends and relatives. Palestinians regard the detainees as political prisoners. 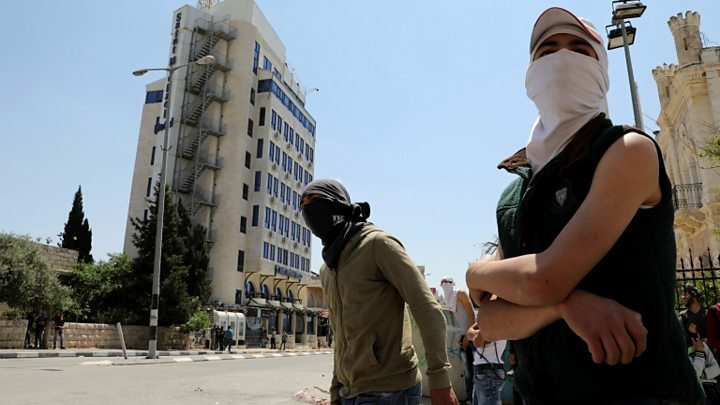 Many have been convicted of attacks against Israelis and other offences. Others are detained under so-called Administrative Detention, which allows suspects to be held without charge for six-month intervals. There were about 7,000 Palestinians held in Israeli jails by the end of last year, according to Palestinian prisoners' groups.